Chaffinch (Fringilla coelebs). Male. Taken at Gwenffrwd-Dinas, Ceredigion, on May 3rd 2018. Male. Taken at Gwenffrwd-Dinas, Ceredigion, on May 3rd 2018. Chaffinch (Fringilla coelebs). Female. Taken at Taken at Gwenffrwd-Dinas, Ceredigion, on May 3rd 2018. Female. Taken at Taken at Gwenffrwd-Dinas, Ceredigion, on May 3rd 2018. Chaffinch (Fringilla coelebs). Madeiran subspecies. Taken on Madeira on March 6th 2008. Madeiran subspecies. Taken on Madeira on March 6th 2008. 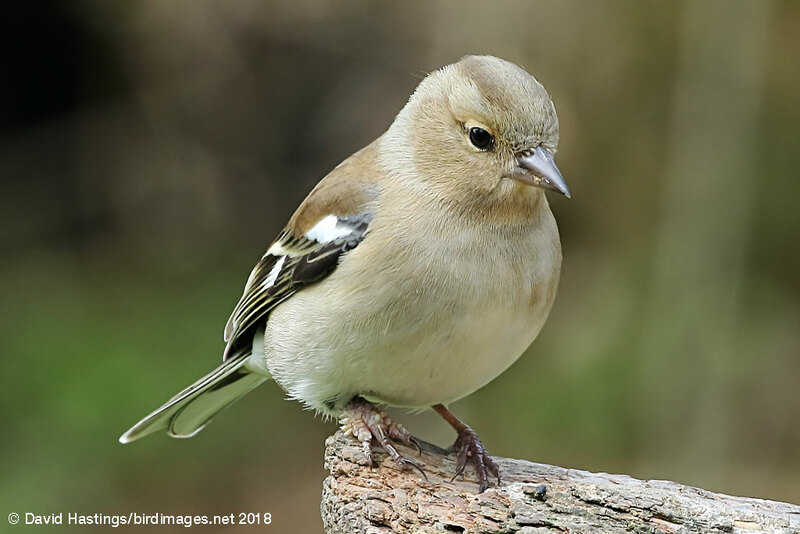 Both male and female Chaffinches have black and white wings, and a green rump. Males have a pink face and breast and a blue-grey crown, while females are sandy brown. 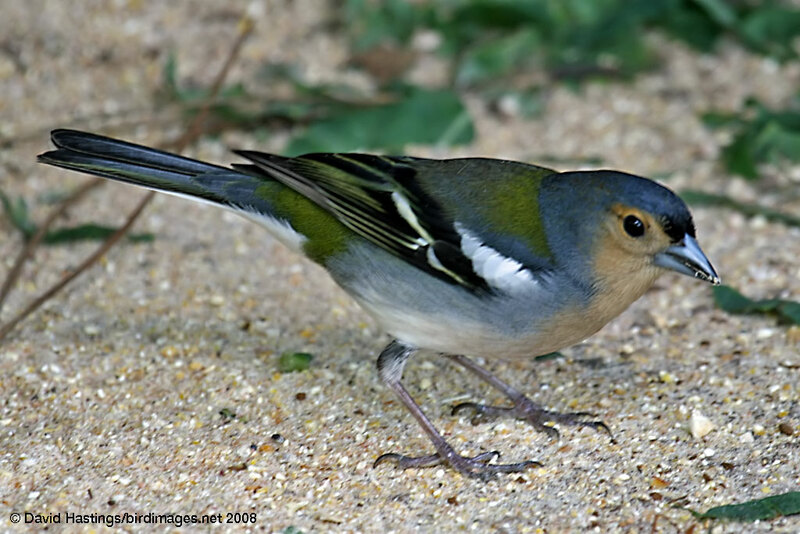 The Madeiran Chaffinch is a distinct sub-species (ssp. maderensis) which is only found on the island. It is greener than the normal Chaffinch, and the male's breast is less pink. It breeds in all types of open woodland, and also in parks and gardens. In winter the resident population is augmented by a large influx from north and north-east Europe. 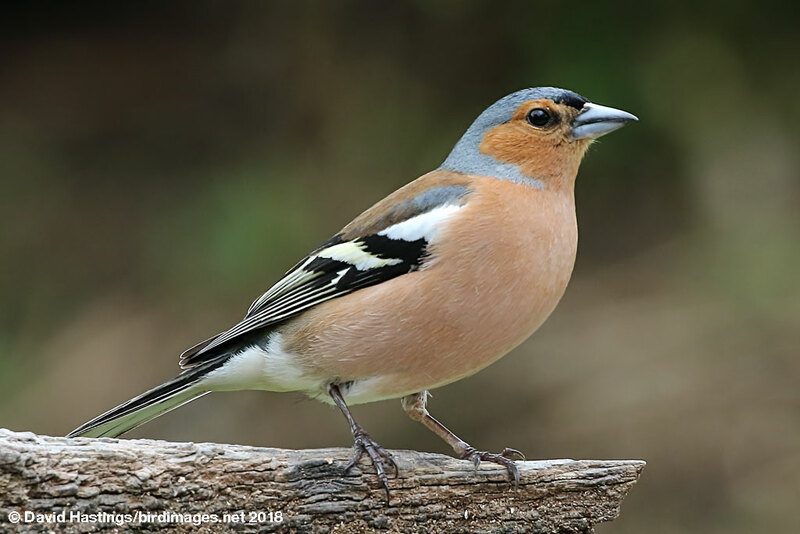 There are about 6.2 million territories, making the Chaffinch the second commonest bird in the UK.